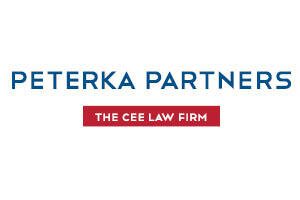 Opened in 2010, the Romanian office of PETERKA & PARTNERS strengthened the position of the firm in the CEE region. As part of the only truly CEE regional law firm, the Bucharest office has the full capacity to deliver a one-stop regional product by helping its clients establish, maintain or expand their footholds in the region. The team of the Bucharest office consists of experienced lawyers with extensive knowledge of Romanian law and industry insight and provides clients with complex legal services, from day-to-day agendas to sophisticated transactions. Our business-oriented lawyers assist clients, both multinational groups and local companies, active in various industries, such as Automotive, Banking and Finance, Retail and Luxury, Energy, Pharma and Life Science, Transportation and Logistics, Information Technologies, etc. All our lawyers are registered with the Romanian Bar Association and are fluent in English while part of team may assist clients in French as well. As part of a unique model of integrated services provided to clients across the CEE region, the Romanian team is part of the regional practices of PETERKA & PARTNERS, which are focused on various industries, language desks, and practice areas of law.